Master Box Dimension : 17" X 14" X 22"
A classic novelty toy that anyone can enjoy, perfect for giving out as gifts to party guests. A great looking multi-color blend on each spring toy. Colors include orange, green, yellow, purple, & blue. 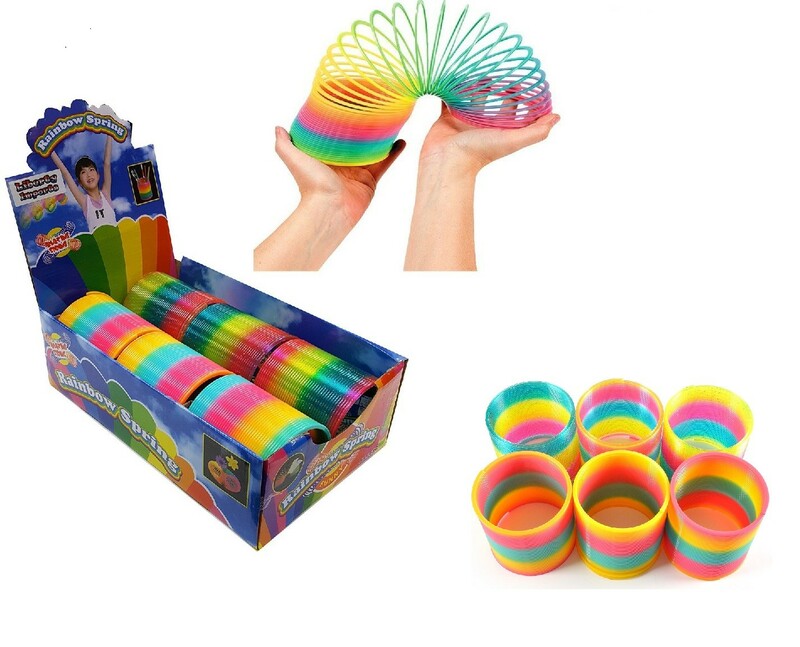 Children and adults will love playing with these colorful spring toys. An endless amount of entertainment watching these springs hop down a staircase, or just simply in your hands. These toys are great for goodie bags and small enough for christmas stuffer. 6 Magic Rainbow Springs Assorted Colors 4"